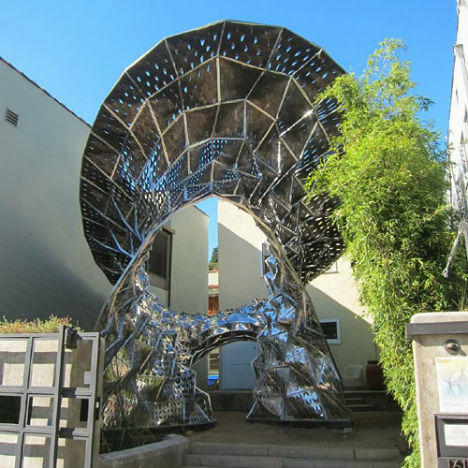 A heat-reactive metal sculpture at the Materials & Applications gallery in Los Angeles opens and closes according to environmental conditions, ‘breathing’ like human skin. 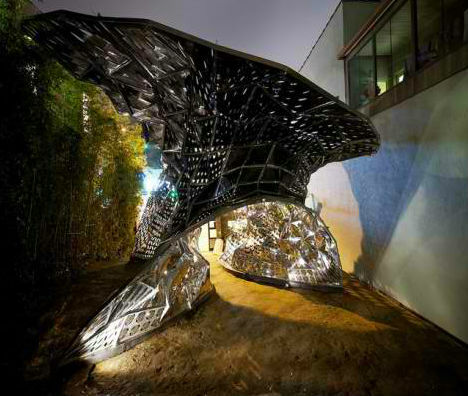 ‘Bloom’ was designed by biologist-turned-architect Doris Kim Sung, who takes cues from our natural biological defenses to develop a zero-energy skin for buildings. 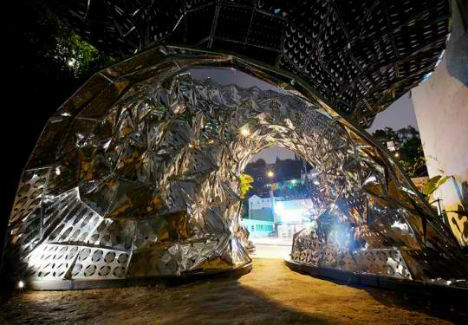 The 20-foot-tall installation is made of thermo-bimetal, a material most often used for the coil in a thermostat. This metal is composed of two sheets of metal laminated together. It expands when heated, curling as the temperature rises and flattening when it cools. 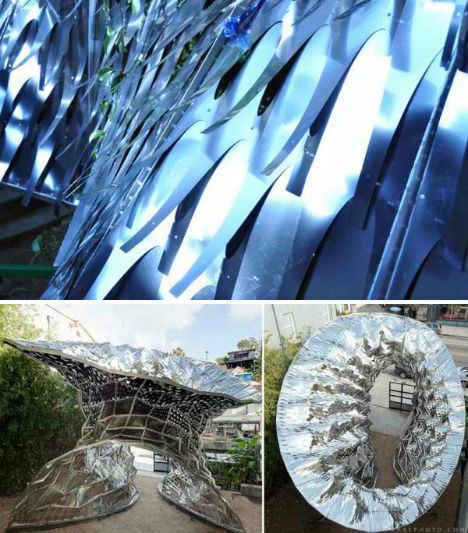 Sung says the material could be used as a shading device or for ventilation purposes. The idea is that the canopy can curl shut when the sun is directly overhead, or vents can automatically open to let hot air escape. Sung has received grants to further her research with thermo-bimetal, and is working on ways to integrate it with standard building components. Possible applications include sandwiching it between layers of glass in windows, or incorporating it into bricks.